The puck was fired deep into the Edina zone, and Paul Ranheim was hustling back to get it. This is the part of the Hornets’ power play the overflow crowds at Braemar Arena liked most. Ranheim circling behind the goal, building speed, skating so fast his jersey rippled in the self-induced wind tunnel. 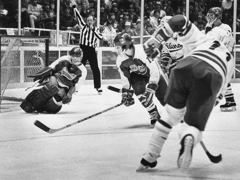 Willard Ikola, who coached Edina for 33 years and led the Hornets to eight state championships before retiring in 1991, can count on one hand (with fingers to spare) the Edina players he coached who had the speed to match Ranheim’s. Paul Ranheim scored 87 goals in four seasons at the University of Wisconsin. Breakaway speed represented just a small slice of Ranheim’s generous skill set. He stood 6-foot-1 and weighed a rock-solid 190 pounds. A Ranheim bodycheck was not soon forgotten. Toughness in Ranheim’s case had nothing to do with raised elbows or flying fists. “He never went looking for trouble,” Ikola said. A gritty defensive player who knew when to take the body and was exceedingly difficult to knock of the puck, Ranheim was no fun to line up against. 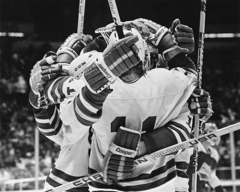 Edina’s two public high schools, East and West, merged into one in 1981. Ranheim was a sophomore that winter, when hundreds of players showed up for Hornets tryouts. The 17 coveted varsity spots went almost exclusively to seniors, with a few juniors added to the mix. Ranheim, a prodigal talent as a youth hockey player, was relegated to spending the season on the junior varsity. Ikola says he kept a close watch on Ranheim that season. Although a dominant varsity player from the moment he stepped on the ice as a junior, Ranheim never assembled mind-blowing numbers. He scored 12 goals and added 25 assists in 26 games as a junior and put up 40 points (16 goals, 24 assists) as a senior. Ranheim played in two state tournaments. The outcomes for the Hornets were vastly different. In one of he biggest upsets in state tournament history, Edina was shut out 2-0 by Columbia Heights and aptly named goaltender Reggie Miracle in 1983. There were no such hiccups the following season, as Ranheim scored two goals and added an assist in the Hornets’ 7-0 quarterfinal rout of Roseau. Ranheim had a goal and two assists as Edina beat Hibbing 5-1 in the semifinals. His goal late in the third-period helped clinch the Hornets’ 4-2 championship-game win over Bloomington Kennedy. Ranheim’s seven points were the most in the tournament. 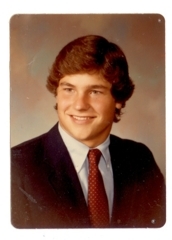 “He was just a go-to guy,” said Chris Bonvino, a Hornets’ senior in 1983-84. “They always had him marked, but it didn’t matter because they couldn’t stop him. Ranheim, who also played varsity football and soccer at Edina, was heavily recruited as a senior. Chosen 38th overall by the Calgary Flames in the 1984 NHL Draft, Ranheim scored 11, 16, 24 and 36 goals in his four seasons at the University of Wisconsin. He played for Salt Lake in the International Hockey League in 1988-89, when he amassed a stunning 68 goals in 75 games. He was called up to the NHL the following season by the Calgary Flames and never again played in the minor leagues. Ranheim played in 1,013 regular-season NHL games during his 14 seasons. He lives in the Twin Cities and works for Edina-based Gemini Athletic Wear, Inc.